Hanuman Chalisa is considered the most important in all Chalisa. Hanuman chalisa is worshiped for Lord Hanuman, Lord Hanuman is very important god in Hindu religion It is more important that by reading Hanuman Chalisa, Lord Hanuman is very happy. By reading or chanting it every day increases our knowledge very much. It is believed that Lord Hanuman destroys all the evils and inspires us to walk on the right path. For chanting Hanuman Chalisa, after doing bathe in the morning, this chalisa should be done peacefully with the worship. Lessons of Hanuman Chalisa By doing, a good energy is generated in our body. By reciting Hanuman Chalisa, our failure becomes successful. Baranau Rahubhara Bimala Yasha Jo Dayaka Phala Chari. Bala-Budhee Vidya Dehoo Mohee Harahu Kalesha Vikaara. Jai Kapis tihun lok ujagar. Kumati nivar sumati Ke sangi. Tej prataap maha jag vandan. Ram kaj karibe ko aatur. Vikat roop dhari lank jarava. Shri Raghuvir Harashi ur laye. Tum mam priye Bharat-hi-sam bhai. Kavi kovid kahi sake kahan te. Lankeshwar Bhaye Sub jag jana. Leelyo tahi madhur phal janu. Jaladhi langhi gaye achraj nahee. Hoat na agya binu paisare. Tum rakshak kahu ko dar naa. Teenhon lok hank te kanpai. Man Karam Vachan dyan jo lavai. Tin ke kaj sakal Tum saja. Sohi amit jeevan phal pavai. Sada raho Raghupati ke dasa. Hanumanth se hi sarve sukh karehi. Kripa Karahu Gurudev ki nyahin. Chutehi bandhi maha sukh hohi. Keejai Nath Hridaye mein dera. Hanuman chalisa is most important chalisa amongst all the chalisa.This hanuman chalisa puts vision and energy into our body. Lord hanuman is special god in hinduism.He is loyal devotee of Lord Shri Rama. 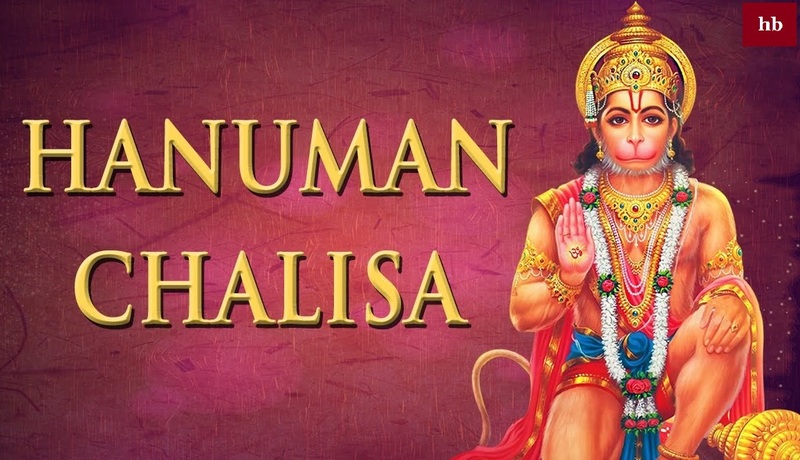 It is believed that lord Hanuman is still alive and he has been seen many times by the people in India.Lord hanuman destroyed all demon and evil.This page is to read Hanuman Chalisa In English and other things about lord Hanuman.This chalisa is very beautiful chalisa and very easy to chant this. By reading or chanting this chalisa we can remove all the obstacles from our life. This chalisa drag us towards bright from darkness. Hanuman name is enough for demon and evil.Used to read hanuman chalisa English in the morning.Lord Hanuman also known as Bajarang Bali, Pawandut, Mahabali and many more.